This cable is a 20pin male to male mini DisplayPort cable. It features gold flashed contacts that provide a high quality finish while offering anti-corrosive properties. 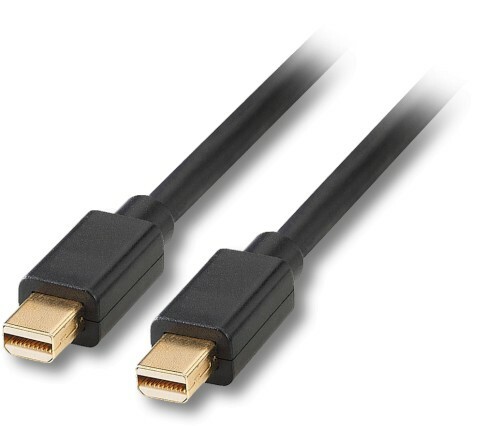 These Mini DisplayPort 1.2 cables feature two Mini DP male connectors, and offers a dependable solution for connecting any Mini DisplayPort-enabled laptops (including Mac family of products) to a Mini DisplayPort-equipped monitor. The mDP cable supports high resolutions of up to 4k x 2k (3840 x 2160) @ 60Hz with a maximum HBR2 bandwidth of 21.6 Gbps. The cable also supports Multi-Stream (MST) for daisy chaining multiple monitors and provides optional audio support. Please note: The 5v pin 20 is not connected.